You may remember back in March that our Holy Father, Pope Francis, established the Memorial of the Blessed Virgin Mary, Mother of the Church, to be celebrated on the Monday after Pentecost in churches throughout the world. 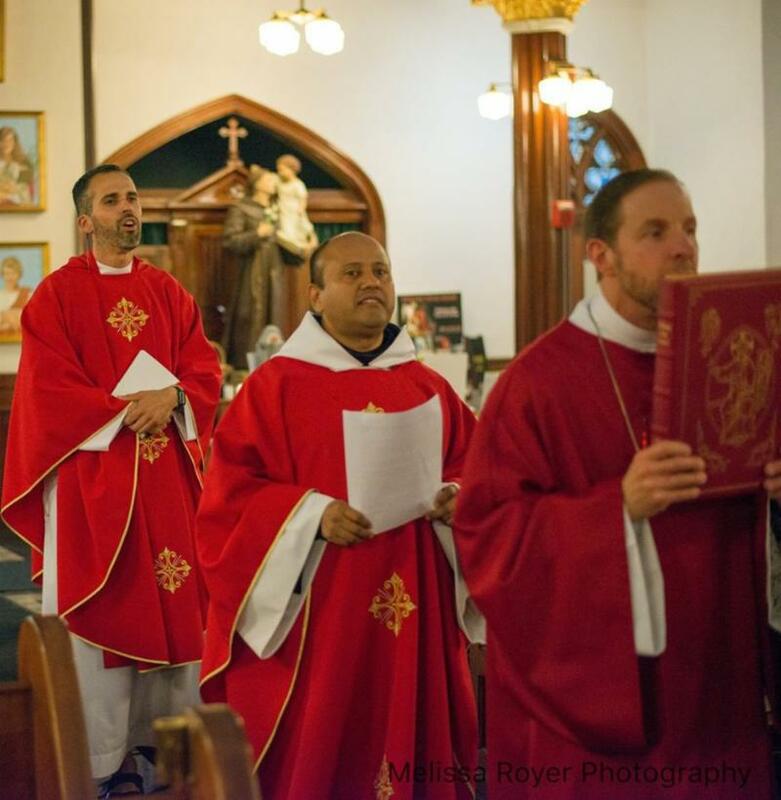 Though having ancient roots in our Catholic tradition, reaching back to St. Augustine and St. Leo the Great, this feast acknowledges the important part Mary played in the birth of the church. As Catholics and Franciscans, the feasts honoring Mary serve as a great reminder to us of the role of the Blessed Virgin Mary in our lives and in our faith, and in particular to our own Franciscan tradition. 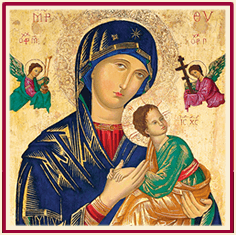 We celebrate the month of May traditionally as the month of Mary, and are constantly reminded of the need to look to Mary as an important source of our own spirituality and inspiration. We know that Mary was not some passive player in God’s plan of salvation, but rather an active participant, and not only a participant, but an important part of our own life of faith. And with all of this, we acknowledge the important place devotion to Mary has for us as friars. Mary reminds us as Franciscans to take an active part in the life of faith, as well as draw others to come to know her Son, the Lord Jesus. May this month of May give us in a multitude of ways “Mary’s Blessings”, so that we can put into action the great legacy of belief handed to us through the generations. As the Easter season comes to a close; we hope that this sacred time has been fruitful for you all. 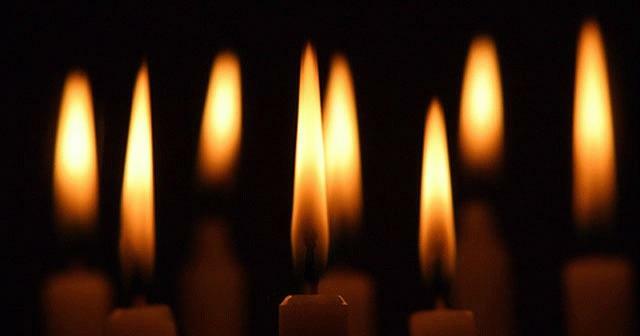 We pray that the gifts of the Holy Spirit will come down on us all as we celebrate Pentecost and continue to bring the light of Christ to the world throughout the year. For this month’s newsletter, we would like to share with you our experience in Rome and keep you updated on our formation journey. During this past month, we have improved in our ability to speak and understand the Italian language, and through our experiences here, we continue to discover and admire Italy and its culture. In addition to being immersed in the language and culture, we have been given the opportunity to visit the sacred sites of our faith. 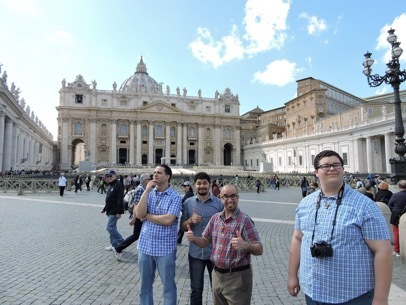 We visited all four major basilicas and, as we write this article, we are preparing to attend the Papal Mass at the Basilica of St. Peter for Pentecost. We were extremely fortunate to be able to visit the holiest places for Franciscans in and around Assisi. 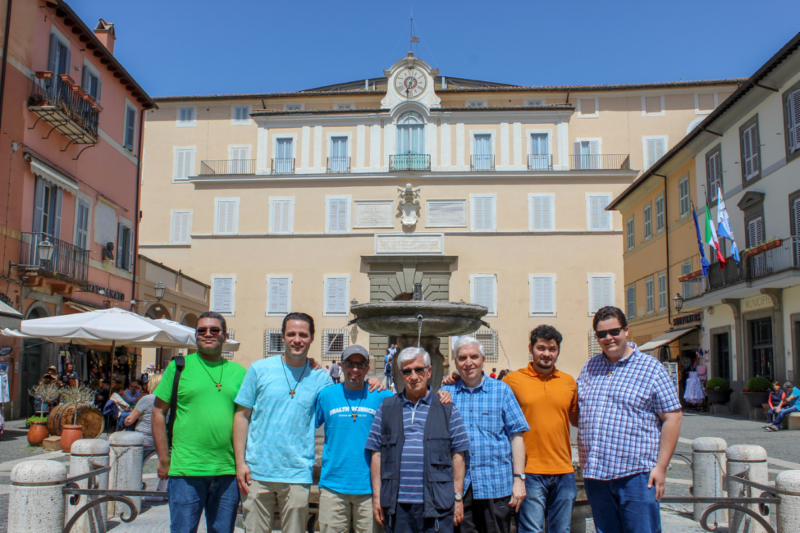 We took a trip to the Abbey of Montecassino and experienced Castel Gandolfo. We are truly enjoying our time here and are eager to complete our studies and this year of Postulancy. Please keep us in your prayers as you all will continue to be in ours. 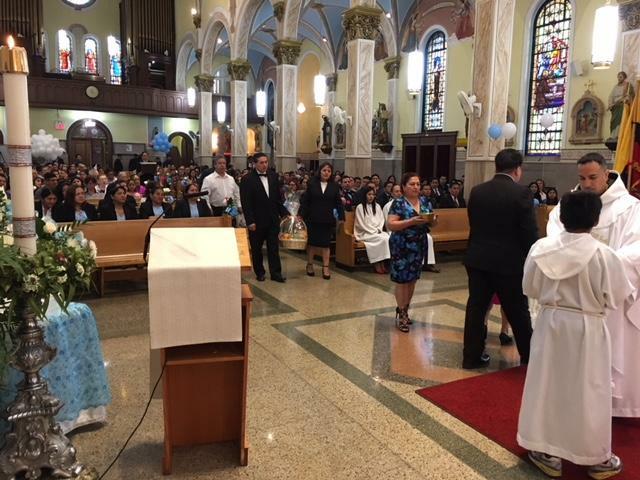 This Franciscan Sisters of the above congregation have worked in schools associated with some of the parishes of our Province—Our Lady of Peace in Brooklyn, Our Lady of Pity in the Bronx, and St. Leonard’s in Boston. 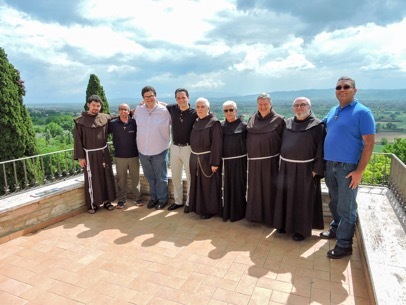 They also collaborated with our friars in the “Home for Italian Children,” also called “Italian Home for Children” (see 2017 Provincial Chronicle, pp. 58-59). 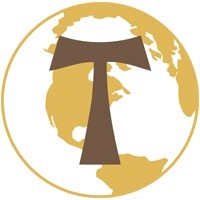 Last fall, the congregation had to relocate the sisters’ graves from their cemetery in Tenafly, NJ. So, 278 graves were transferred to the diocesan cemetery, Maryrest, in Mahwah. 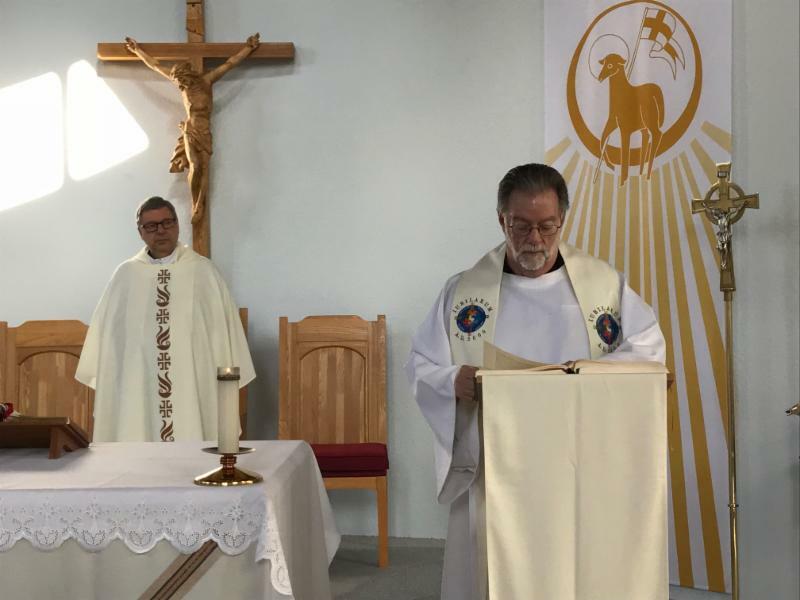 Upon completion of the transfer, on Monday, 23 April, the sisters invited André Cirino to celebrate Eucharist for the deceased sisters and then bless their new plot at Maryrest. The sisters living in Tenafly at Our Lady of Angels Convent are aged and infirm. So, to give a boost to their spirit, André, a graduate of their Brooklyn school at Our Lady of Peace, invited several graduates from their school in the Bronx, Our Lady of Pity, to address the sisters, sharing fond memories of the sisters and the education they received from them that helped prepare them for careers as teachers—two of them, an engineer, and one who worked in law enforcement. 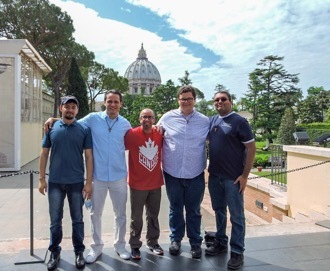 Photo, left to right: Sr. Eileen Sweeney OSF, who taught at both Our Lady of Peace and Our Lady of Pity, Vincent Verlezza, Cesar Matanzo, Sebastian Marano, André, Barbara Marano. The stained-glass window between them came from the sisters’ chapel at Our Lady of Pity. 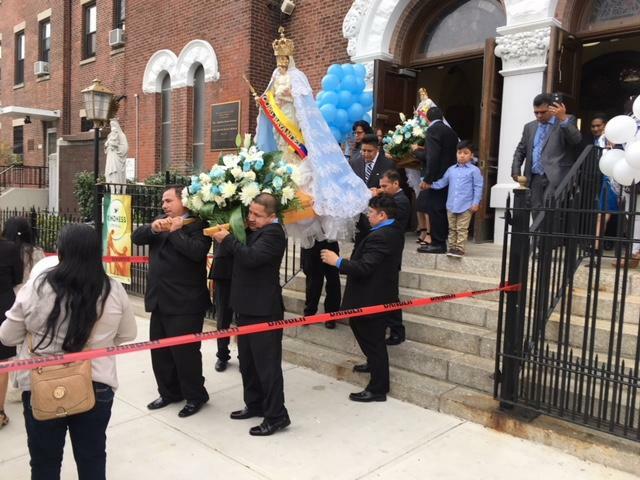 The annual celebration of Our Lady of theClouds, an Ecuadorian Feast, was celebrated on May 6 by the Friars and Parish of Our Lady of Peace. 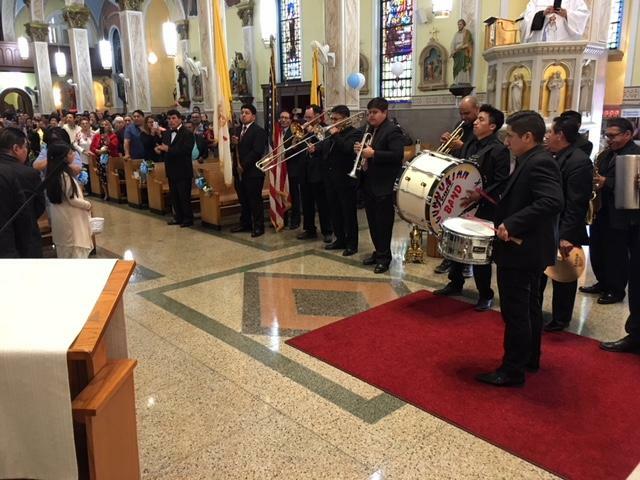 A Solemn Mass and Procession through the streets was followed by food, beverage, ethnic dance, and entertainment. 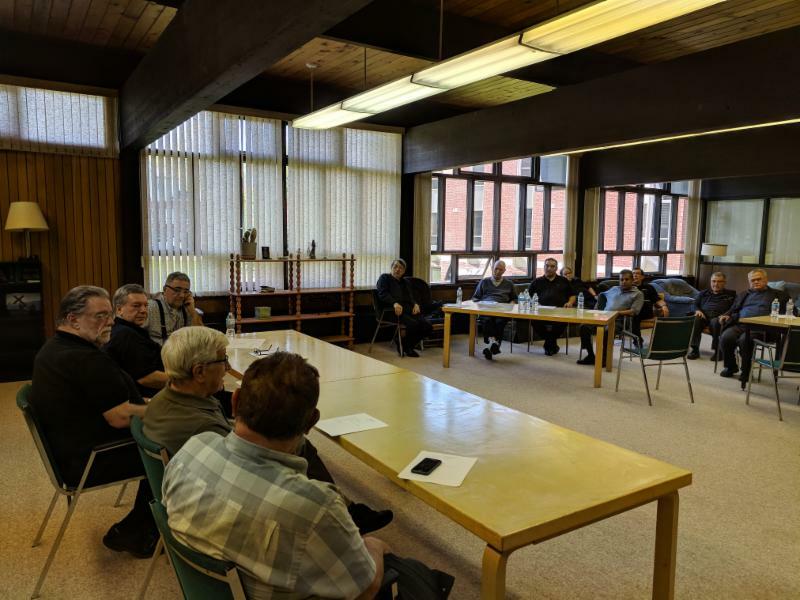 On May 16, the Province's friars in Canada met at St Francis Centre in Caledon for a regional meeting, taking advantage of the meeting of the Provincial Definitorium. The opportunity for fraternity was accompanied by prayer, serious conversation, good food, and much fraternal joy. 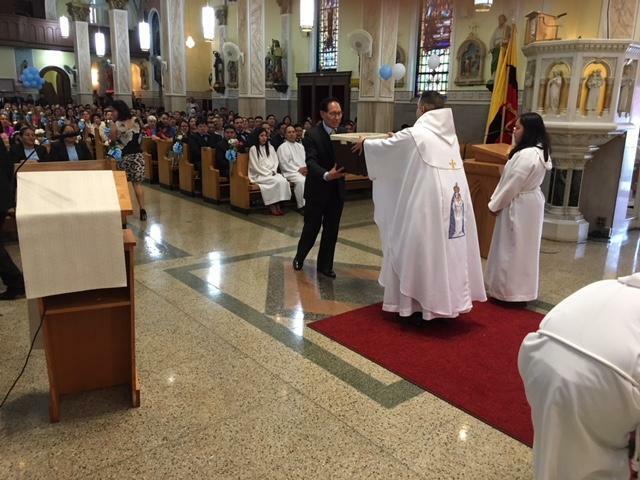 Friar Aziz Eissa, OFM, was named to the Ecumenical Council for the Archdiocese of Toronto. His background, study, and extensive experience in Islam will make him a valuable member of the Council. Congratulations Aziz. 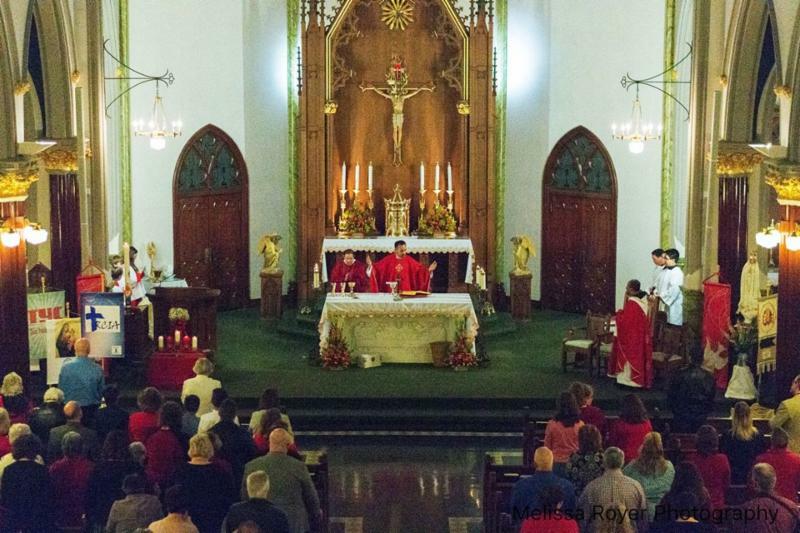 For many years Saint Thomas Aquinas Church in Derry has celebrated the Vigil of Pentecos with a special "Spirit Filled" Mass and devotions to the Holy Spirit. This year was no exception. Led by their Pastoral Ministry Team, Friar Phil Pacheco, OFM, Pastor, Friar Joaqin Mejia, OFM, Associate Pastor, Lazarus Ministry of Praise, and many of the faithful who have been involved in this wonderful celebration for years, parishioners clad in red gathered for this very popular opportunity for prayer, praise, great music, Eucharist, and devotion. 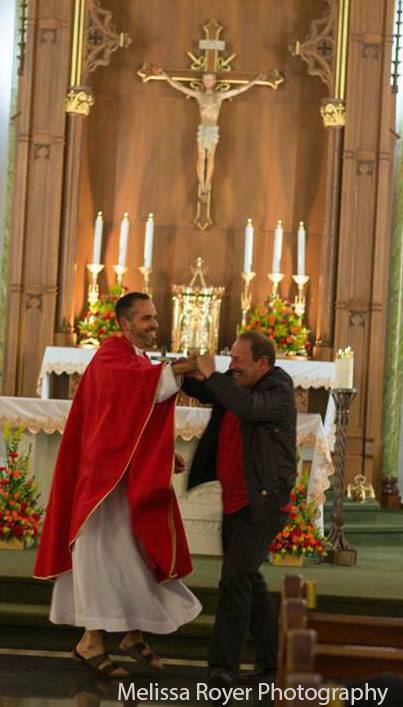 Congratulations Phil and all the parishioners of St. Thomas. Our Province Retreat has been scheduled for October 14-18, 2018 at Mt. Alvernia Retreat Center, Wappingers Falls NY. 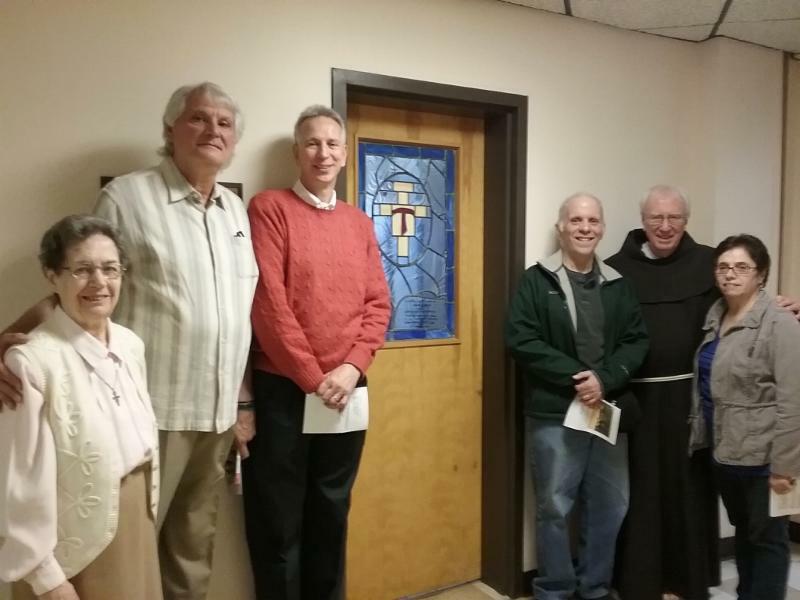 This retreat will held together with the Capuchin Franciscans of the St. Mary Province. 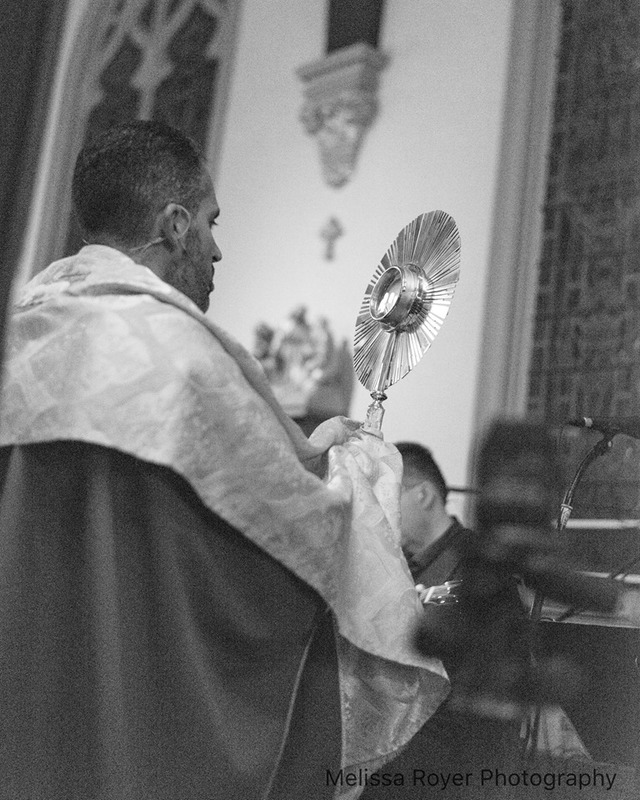 The 2019 Provincial Chapter has been scheduled for Sunday, June 16 to Friday, June 21, 2019. The chapter will be held at Mt. Alvernia, Wappingers Falls NY. Friar Courtland Campbell, OFM, assigned to Our Lady of Peace Friary and Church, Brooklyn, as Pastoral Associate. Franciscan Friars from all over the United States are gathering from May 29 to 31 to meet to decide their future. 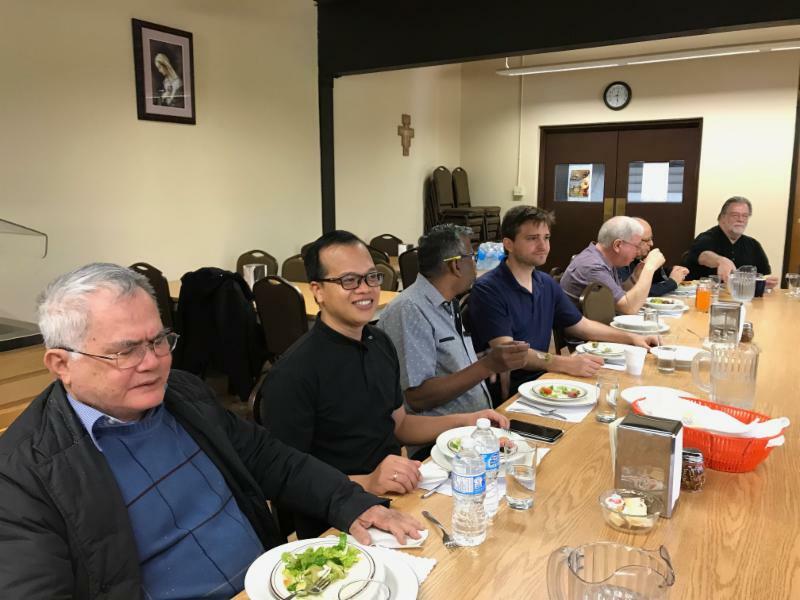 In six separate meetings representing the six US provinces participating in the “Revitalization and Restructuring” program (R and R) of Franciscan Life in the US. On Wednesday, May 30, the friars will vote on whether to unify. 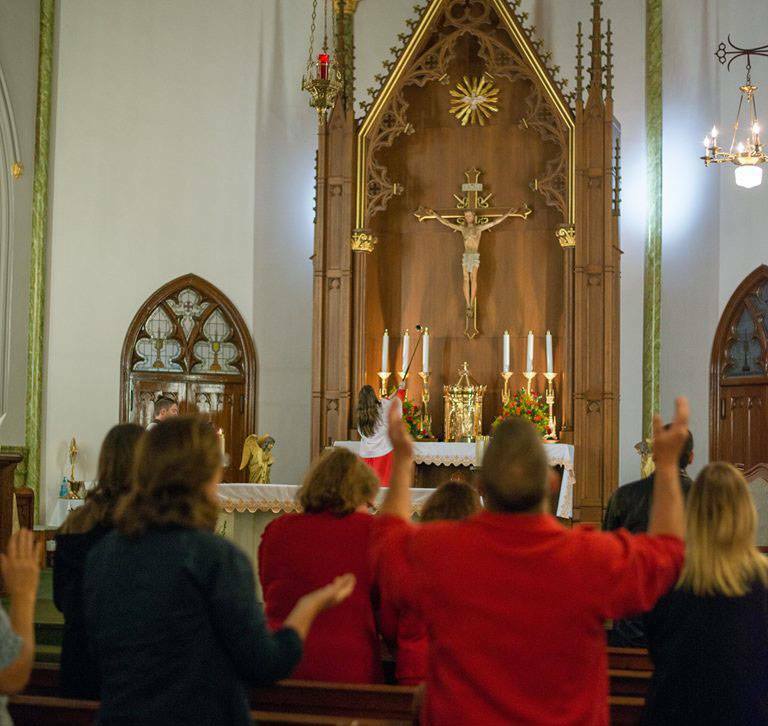 The participating provinces are Assumption BVM, headquartered in Wisconsin, Our Lady of Guadalupe in New Mexico, Sacred Heart in Missouri, St. Barbara in California and St. John the Baptist in Ohio, and Holy Name Province, headquartered in New York City. The R&R process has been underway among the U.S. provinces since 2012. Friars have reviewed and discussed many reports, letters and studies that have provided background on various aspects of fraternal and ministerial life in the United States. Those documents will inform the voting process later this month. The results of the vote will be announced live on May 30 to the friars of the six participating provinces. Afterward, the outcome will be shared with the public via a post on USFranciscans.org. For the recommendation of one province to pass, an absolute majority of all the votes cast (more than 50 percent of the votes) must be in favor. The voting results of each individual province will be announced as the official positions of the respective provinces. “Only if there is unanimous support (i.e., six absolute majority votes) by the six provinces in favor of the formation of one new province, will the R&R recommendation pass,” said Kevin. The friars have been preparing for the vote by discussing and reading about issues related to Franciscan life among their provinces. Knowledge of the content and the R&R process is presumed for all who participate as member of the Chapter. 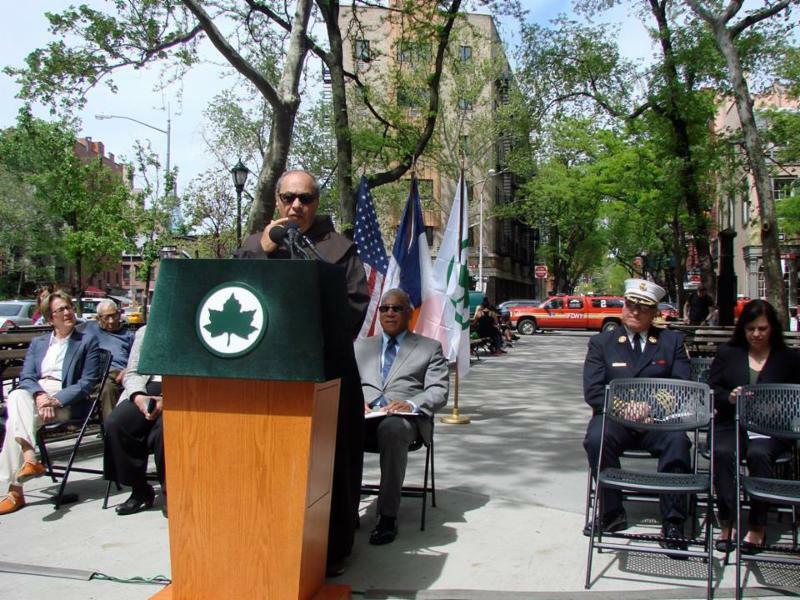 Father Fagan Park in Manhattan, on the corner of Prince Street and Sixth Avenue, was rededicated on May 11, 2018, at a ceremony held in the park. 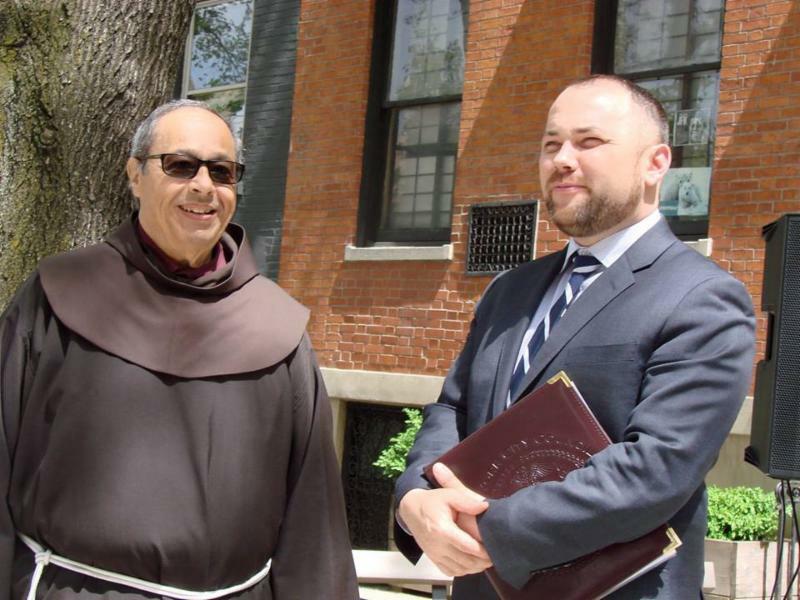 Local residents and city officials, and many other dignitaries, including our own Friar Mario Julian, OFM, Pastor of the Shrine Church of Saint Anthony of Padua, were present for the ribbon cutting. Father Fagan Park is named for Fr. 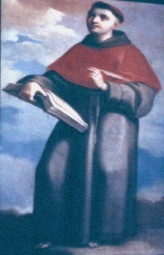 Richard Fagan, OFM, a member of our province. On November 4, 1938, a fire broke out at the rectory old rectory of St. Anthony's (currently Padua Friary). Though Father Fagan managed to escape, he went back into the building twice to rescue Father Louis Vitale and Father Bonaventure Pons. 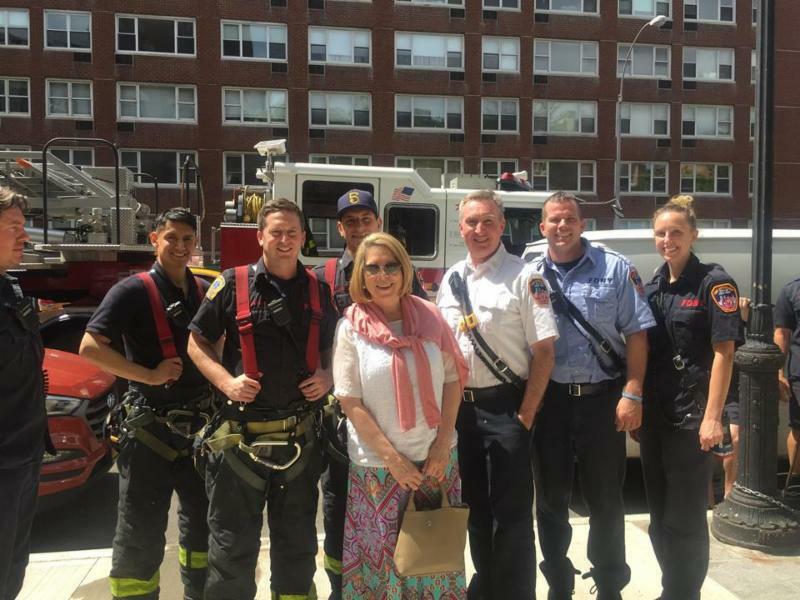 With the fire out of control, the badly burned Father Fagan leaped out a window onto the roof of the adjacent Settlement House. After being discovered, he was taken to the hospital where he died of complications five days later at the young age of 27. The park also commemorates three firefighters of Ladder Company 5 and Engine Company 24 – Captain John J. Drennan and Firefighters James F. Young and Christopher J. Siedenburg – who responded to a fire at 62 Watts Street on the night of March 28, 1994 and died instantly or shortly thereafter as a result of being trapped by the flames. 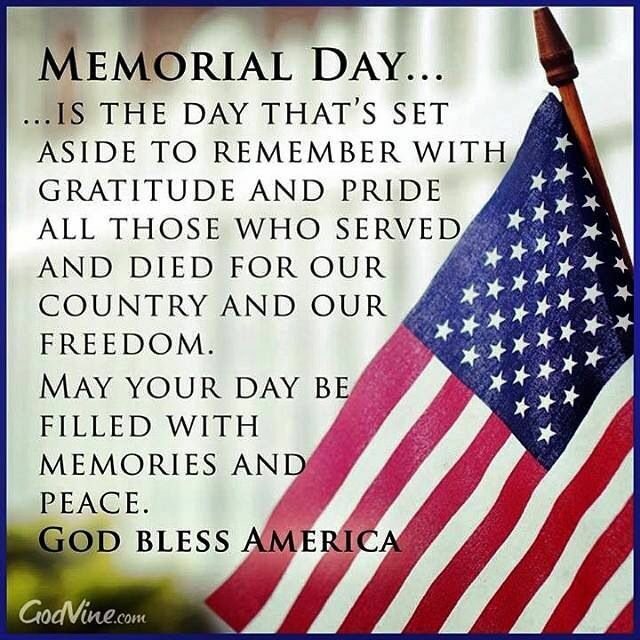 That same year, three callery pear trees were planted and three bronze plaques were installed to commemorate these heroic men. For many years Father Fagan Park was neglected, but several years ago area residents, led by "The Friends of Father Fagan Park" began an effort to renovate the park. 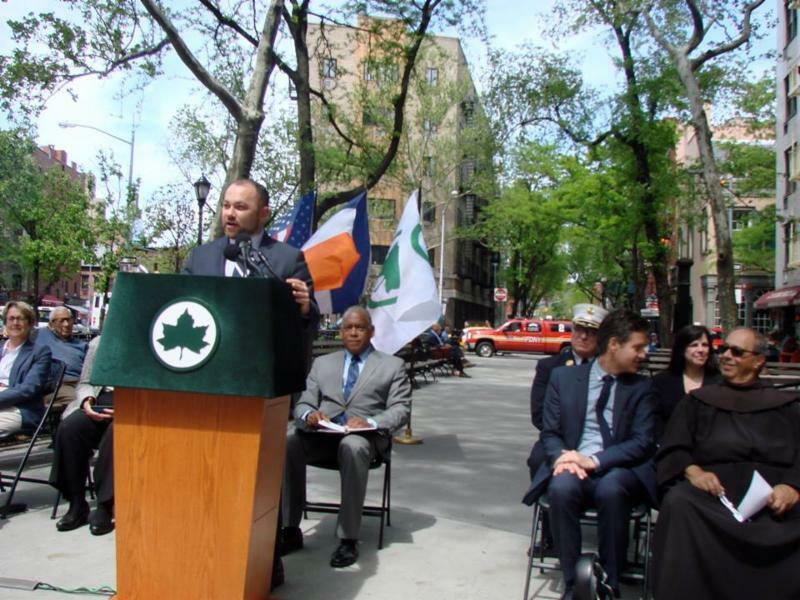 Eventually, the New York City Council, through the efforts of then Speaker Christine Quinn and current Speaker Corey Johnson, got funding for the project. Maria Grazia Nardoianni, mother of Friar Antonio Nardoianni, OFM, who passed into eternal life on April 26.